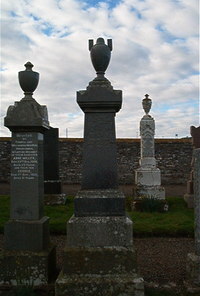 James McBeath of Knockinon died 15th January 1911 aged 92. Wife Ann Miller died 23rd August 1910 aged 81. The sleep of the just is blessed.